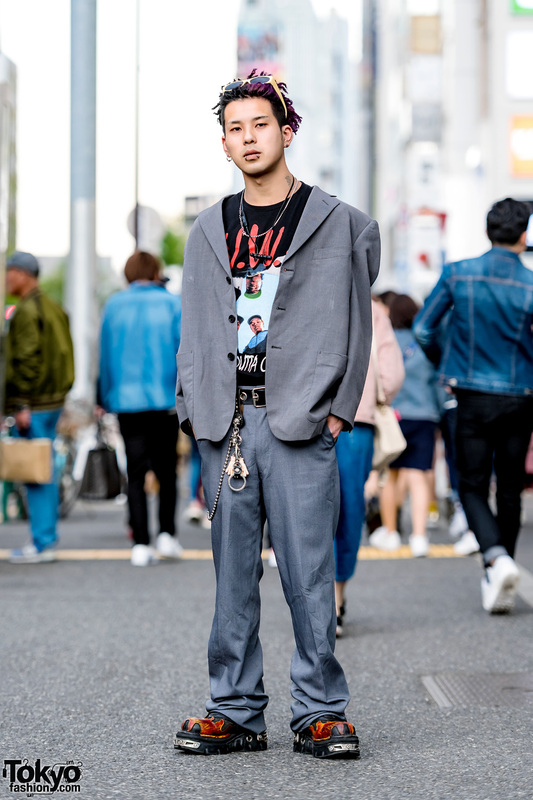 Kinji Harajuku staffer Jimmy sporting dreadlocks and a grey suit while spotted out on the street. 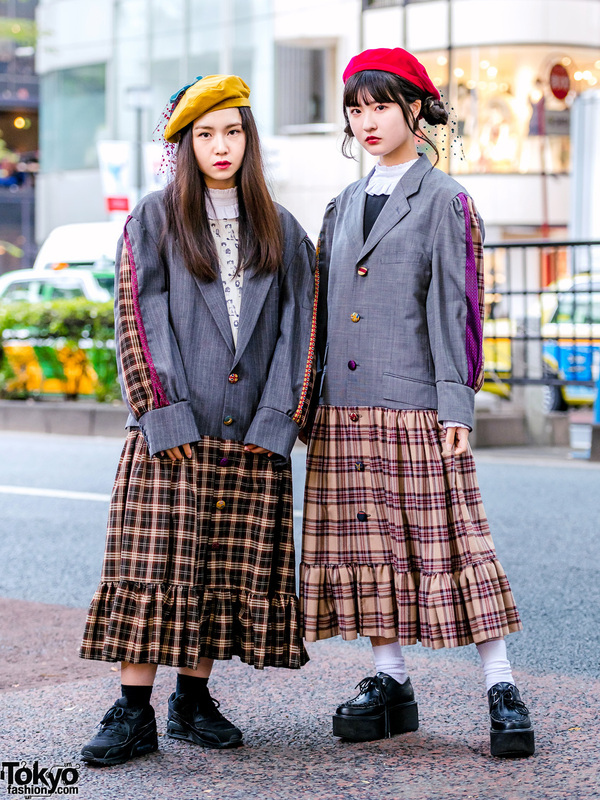 Two-tone haired Harajuku shop staff sporting an all black fashion style on the street in Tokyo. 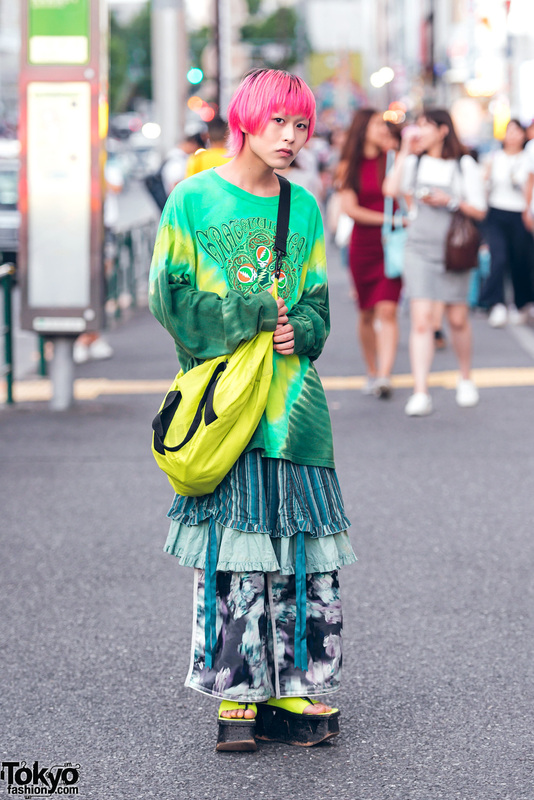 Pink-haired Harajuku guy in shades of green wearing a vintage sweatshirt, ruffle skirt over Balmung printed pants, neon platform sandals, and a sling bag.